The media days of the 2014 NAIAS are over. If you missed opening day’s coverage, recap here. Tomorrow we pack up the Buick Verano Turbo and head back to New York. But first, here’s a summary of the second day’s coverage. Porsche’s Targa has traditionally been the odd-man-out of the 911 lineup. The 991 Targa seeks to change that perception with a bit of retro styling and technical innovation. The iconic contrasting hoop has returned. Rather than manually removing the top, electric motors lift the rear glass/trunk and fold the cloth targa roof behind the rear seats. The Targa benefits from a traditional silhouette of the coupe and the open-air experience of the cabriolet. 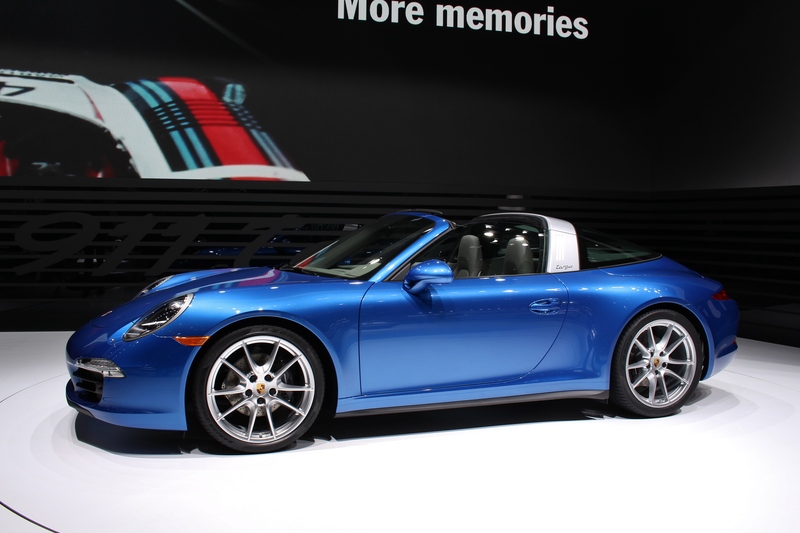 With either the running gear of the 4 or 4S, the new 911 Targa requires almost no compromise. 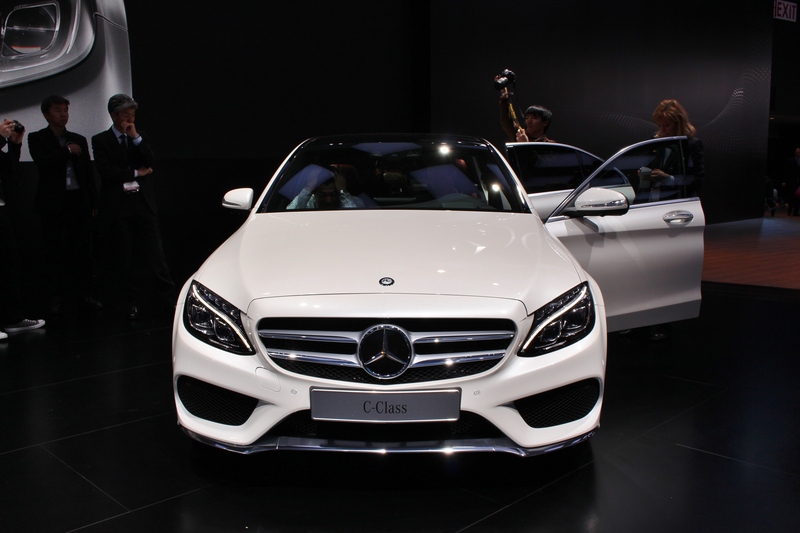 Mercedes-Benz started at a clean drawing board and came up with a fresh new look for the 2015 C-Class. The sport sedan battle between the Germans, C-Class, A4, and 3 Series, is one of the most followed competitions in the entire industry. For 2015, the new C-Class has lost about 220 pounds, and in turn improves fuel economy, by utilizing more aluminum. We found the upgraded materials on the inside to be a smart and welcomed change to a model that had become a bit long in the teeth. The newly added features, like Distronic Plus with Steering Assist, will be appealing to those buyers who love technology. The vehicle will be able to navigate independently in slower traffic, which is clearly aimed at a younger and more tech-savvy audience. 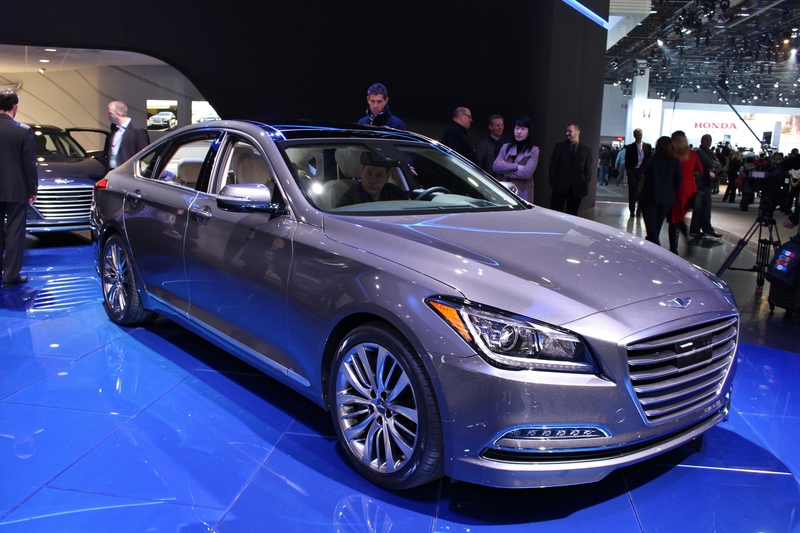 The new Hyundai Genesis features bold new styling wrapped around a conservative yet luxurious interior. We gave the HCD-14 concept a hard time when it debuted here in Detroit last year, but Hyundai forced us to take that all back. The new Genesis keeps so many of the design cues from the concept that we hardly believe it’s a production model. The 3.8L V6 and 5.0L V8 from the second generation Genesis return to power the car. Expect the new Genesis sedan to arrive later this year starting just under $40,000. 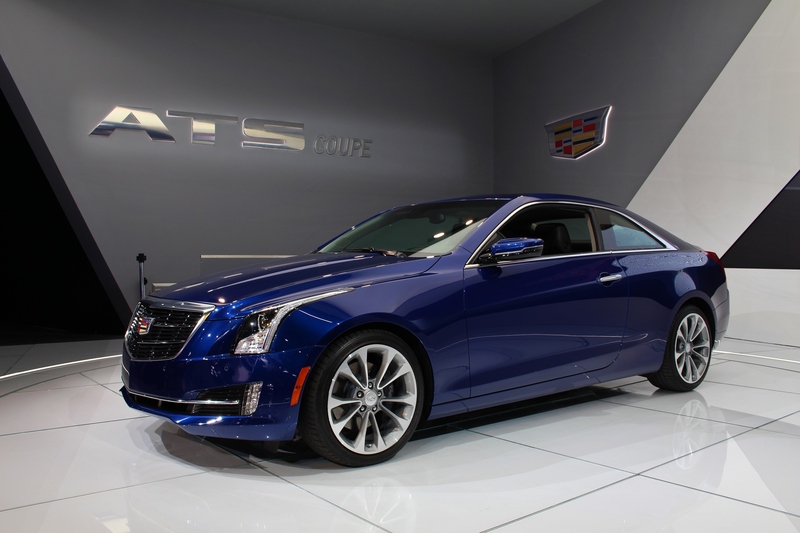 After driving the 2013 Cadillac ATS sedan, we can guarantee that the new ATS Coupe will be a performance powerhouse in the sport coupe market. But we have to admit that we didn’t expect the the ATS coupe to be unveiled in Detroit, so its nice to be pleasantly surprised sometimes. The new Coupe looks to be a great contender with a more sloped roofline, standard 272 horsepower 2.0L turbo, and performance driven design. We are still undecided on whether the new Cadillac badge was an wise decision. But one thing is for sure, the new ATS Coupe will have the stalwart Germans on high alert in the days to come. The coming of the new F. Earlier this year we reviewed the car in which Lexus founded the letter F, and now everything is new. Working with the good-looking RC coupe platform, the F model sports a 5.0L V8 and is focused on pure driving enjoyment. The spiritual successor to the IS-F sports 460 horsepower and 380 lb-ft of torque, allowing the new RC-F to get out of it’s own way. All that power is transferred to the rear wheels through an 8 speed automatic. 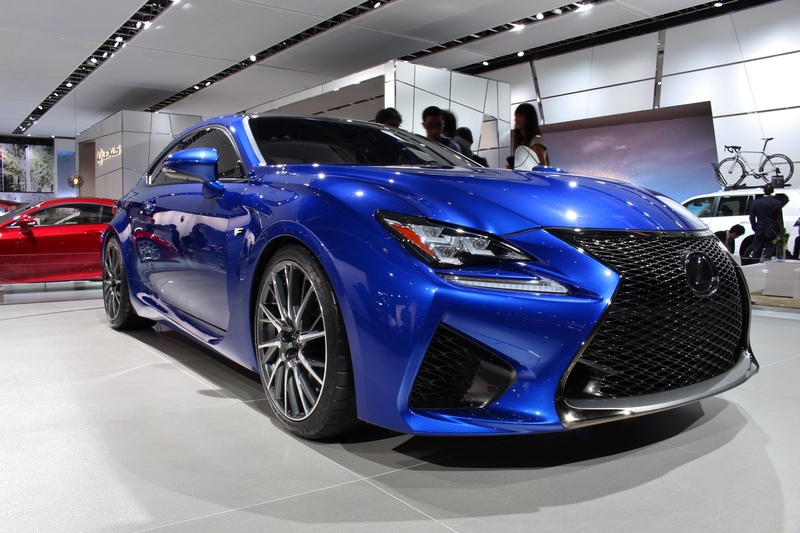 We loved the IS-F, and with all the new technologies and weight savings in the RC-F, we’re eager to get our hands on one. Subaru ditched the Impreza name, but that doesn’t mean it won’t have its similarities. So similar, in fact that, both technically still share the same platform. The new STI, however, sports a new 2.5L turbo four-cylinder that equals the same power output of the previous generation, 305. New differential setups are all controlled through the DCCD or Driver Controlled Center Differential. It allows the driver to select where the power is going, and can be adjusted manually. 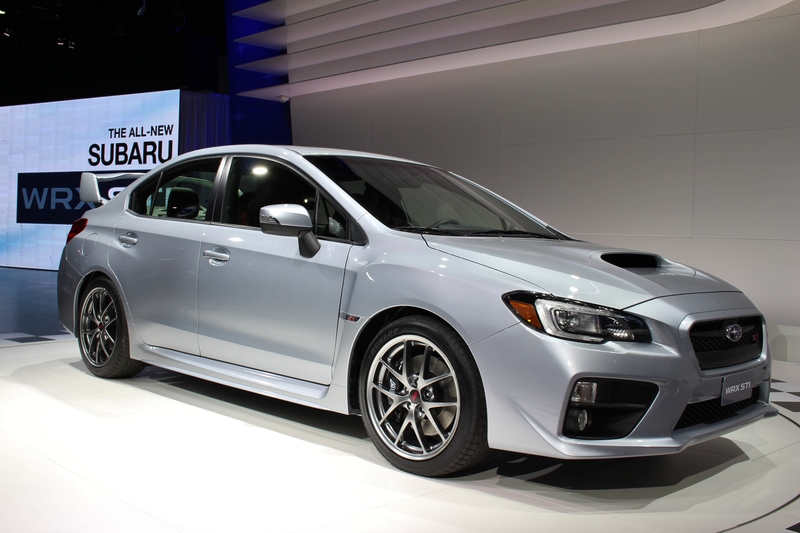 The STI improves on the WRX’s appearance with boxier fenders and the traditional rear wing. A US-specific Launch Edition will be available in WR Blue with gold wheels, the classic STI appearance.